WLPGA member, Parami Energy Services Co. Ltd. formally launched its first Community Kitchen in Ho Pong, Southern Shan State in Myanmar, November 2018. The kitchen was constructed on the grounds of a prominent monastic school and offers a modern expansive cooking facility using clean burning LPG. The Community Kitchen is a critical community initiative for the local Pa Oh community in this part of Myanmar. VIPs attending the ceremony included the Chief Minister of Shan State Government, the Honorable Linn Htut and the Honorable Dr Aung Moe Nyo, the Chief Minister of the neighbouring Magway Region Government. Alison Abbott, WLPGA Communications Director, represented WLPGA at the inauguration, which saw around 400 members of the local community unite to welcome this impressive initiative in a day of celebration and festivity, as well as discussion around the many benefits that LPG can immediately deliver once it is introduced into a community. As 4.3 million people die prematurely each year from illness attributed to indoor air pollution, which is more than HIV, Malaria and Tuberculosis combined, using LPG can play a significant role in combatting this staggering statistic. 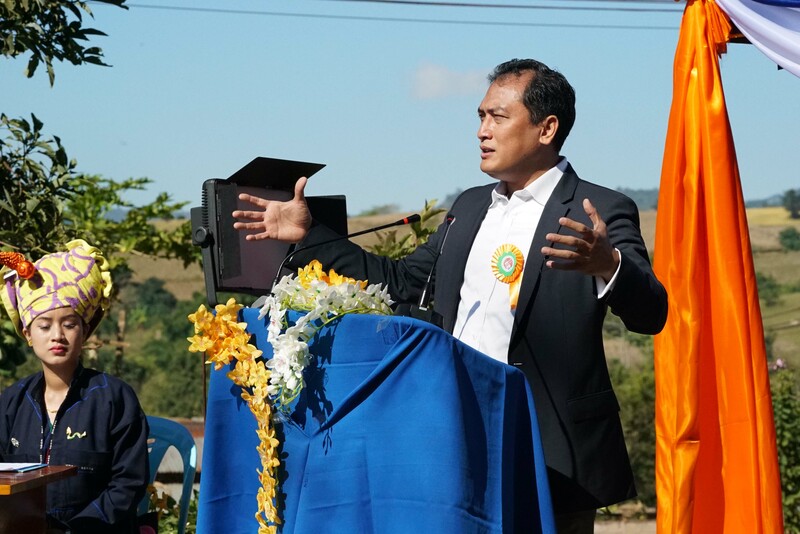 Ken Tun, CEO, Parami Energy (pictured below) said that the principal objectives of this Community Kitchen are threefold: To significantly improve the health and quality of life of women, who represent the majority of those currently cooking with traditional fuel; to combat climate change and fight deforestation via the promotion of cleaner, safer and more efficient LPG in a region where over 80% of the population still burn firewood and charcoal; and thirdly to support the Myanmar Government’s quest to fast-track the utilisation of LPG for home cooking in one million Myanmar households by 2020. Parami’s Community Kitchen is a flagship initiative in Myanmar of ‘Cooking For Life’, a global WLPGA campaign launched in 2012 which aims to facilitate the transition of one billion people from cooking with traditional fuels to cleaner burning LPG by 2030 said Ms Alison Abbott.